Cupola roofs, copper spires, and decorative windows are only some of the architectural details that make this luxurious home unique. An outdoor masonry hearth, and a covered cabana with a serving bar and grill, allow you to do outdoor cooking and dining on either warm or cooler days. This house can be easily modified to include a full in–law unit on the main floor. If this is of interest to you, please read the section near the end of this Description titled In–Law Unit. 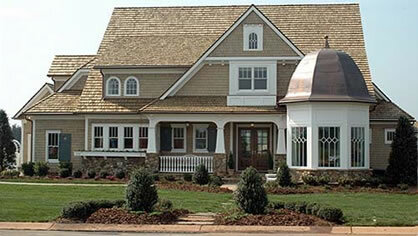 The covered front porch is framed by Doric style round columns, and has room for furniture to enjoy the outdoors. After entering the foyer there is a hallway to the right, which leads to a coat closet, a powder room, a stairwell, and a study. The study has plenty of natural light from a bay of decorative windows, and has an 11–foot flat ceiling beneath the decorative cupola roof. From the foyer, a large kitchen lies straight ahead, with both a center work island and a center counter with a bar for eating, which provides a sense of separation from the family room. The family room features a vaulted ceiling which rises to a rounded barrel at the peak, and large picture windows that look out onto the back veranda. The kitchen is open to a dining room on the right, and to a mudroom, which leads to a laundry room, a coat closet, and a garage. Beyond the dining room are a studio space, and a master bedroom suite with vaulted ceilings. The master bath has a center claw foot tub, a shower, a private toilet room, and his/her closets. On the other side of the family room is a breakfast nook with windows along two walls that look out into the outdoor garden space. Next to the outdoor cabana is a half bath and pool equipment/storage room, which is handy to have whether or not you plan to have a pool. Upstairs, an oversized balcony creates a loft space with a linen closet and built-ins. The large balconies look down onto the family and dining rooms below. Three more bedrooms are located here, two of which have their own private full baths. At the end of the hall is a full bath and a game room with a full bar and sink. Convert the Owner's Suite, including the Studio, into an in–law unit. Then upstairs, convert the areas labeled Media Room, Guest Room, and the full bath into a unique and spacious Master Suite. 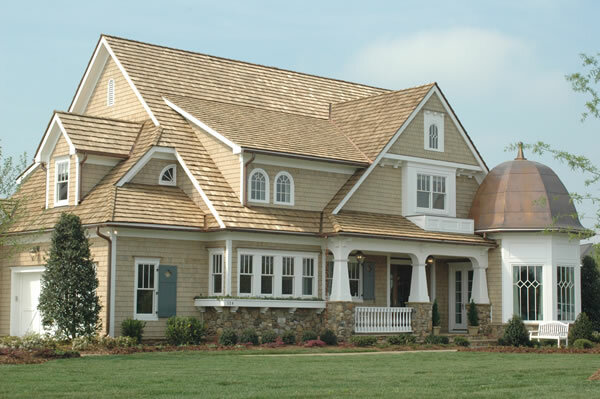 A study with wrap around views with a cupola roof sheathed in copper is the first thing you notice when approaching this beautiful home. 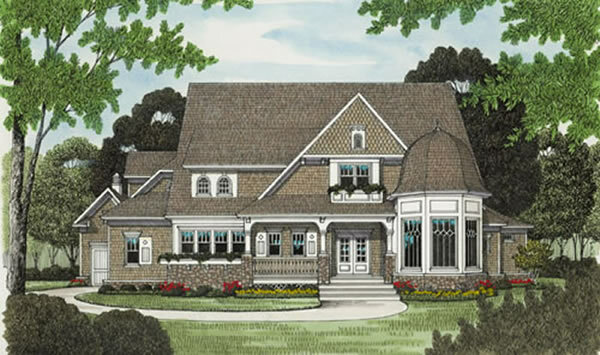 Most of the rooms on the main level – including the master suite – have vaulted ceilings, with a barrel–style vault over the large family/living room. On the upper level there are two additional bedrooms, a guest suite, and a media room with a full bar.